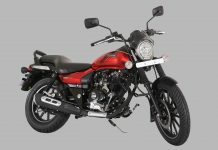 The Indian Motorcycling scene is flooded with great products from manufacturers across the world, almost all the premium motorcycle manufacturers have entered the Indian market already and the rest of them too are trying to get here as soon as possible and so, the Indian consumer is now spoilt for choice. 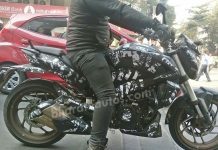 But in the premium cruiser motorcycle segment, one did not have much of a choice, because it was only Harley-Davidson who was present here and if one wanted a premium cruiser motorcycle, it would be a Harley by default, But now that’s all-set to change. 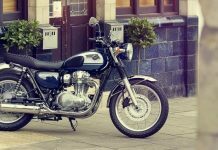 Triumph entered the Indian market recently, and they too have some classy cruiser motorcycles in their product portfolio, but the real news starts now. 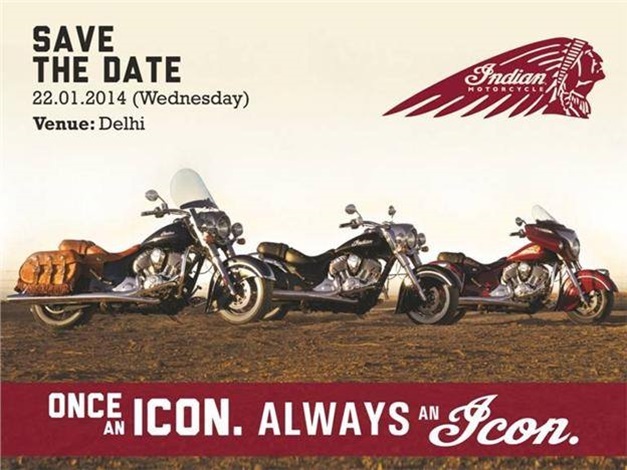 Classic American motorcycle manufacturer, Indian Motorcycles too, is all-set to make its debut in the Indian market on 22nd January 2014. Indian motorcycles is now owned by Polaris, and Polaris has already made its mark in India with its wonderful range of ATV’s, and now Polaris has realised the potential of Indian motorcycles, and that in India, there is demand for Premium Cruiser motorcycles and hence, will be bringing Indian motorcycles to the Indian market without any delay. They will in all probability use the CBU route to deliver the motorcycles in India. 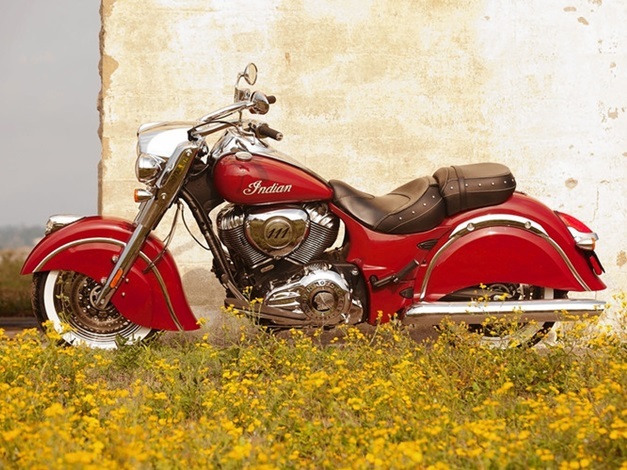 Indian Motorcycles currently has three products in their portfolio, the Chief Classic, Chief Vintage and Chieftain. All three motorcycles are powered by a Thunderstroke 111 engine, which as the name suggests, displaces 111 cubic inches, which in Cubic centimetres is, 1819cc. The actual power output of these engines is unknown as of now, but we do know that it produces 161 NM of torque, which is a lot!